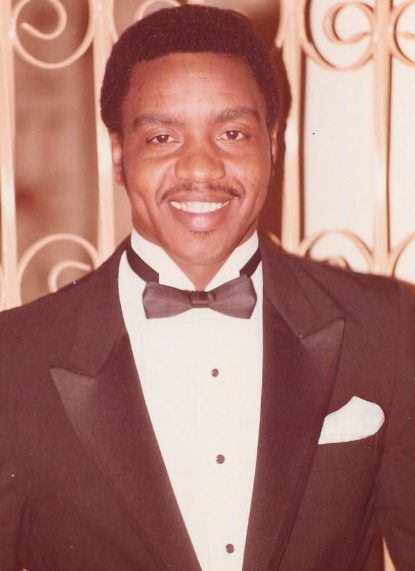 Obituary for Daniel Ira Allen Sr. | Minor-Morris Funeral Home, Ltd.
Daniel was born November 18, 1950 in Joliet, IL. He departed this life on Thursday, March 28, 2019 at Loyola Medical Center after a very short battle with lung disease. He was born to Richard and Mary Ann Allen. Daniel accepted Christ at an early age and was baptized as a member of Mt. Zion Tabernacle Church under the leadership of Mother Lucy Harvey and Reverend Eugene Walker. Daniel was a member of the Mt. Zion Youth Choir and faithfully served as an usher. Daniel graduated from Fairmont Grade School, Lockport Township High School, and attended Joliet Junior College. Daniel served in the Army as Military Police. He was employed at Texaco, Mobil Chemical, BASF, and was working at Diageo Global Supply in Plainfield as an Operations Team Member until his death. Daniel enjoyed playing softball, volleyball, basketball, bowling, roller skating, and riding his motorcycle. He was a member of the Brothers of Soul. He not only loved playing sports, he also loved watching them. He was an avid Chicago Bulls fan, especially during their reign with Michael Jordan in the 1990s. Most recently, Daniel enjoyed going to sporting events with his kids, as well as driving around Joliet in his Chrysler Crossfire, affectionately known as “CC”. Daniel was preceded in death by his maternal and paternal grandparents; his parents Richard and Mary Ann Allen; Brothers Booker T., Ernest, James, and Will “Buck” Allen; Sister Ora McCoy; Niece Bonita Primer; Nephew Deottis Taite, Jr.; Brother-in-Laws Albert Brass Sr., Willie McCoy Sr., Deottis Taite Sr., Spurgeon Blackmon, Dennis Daniels Sr., Ernie Mulligan; Sister-in-Laws Lela Mae Allen, Barbara Cummings, Glenda Yancey, Daniel Cummings; Friend Jerry Moody. Daniel is survived by his former wife Adriane, mother of his two loving and devoted children Danika (De) Parrett of Minneapolis, MN and DJ Allen of Atlanta, GA; Special friend Terry James; Best friend Sherry Arthur; Godsons Dane & Ashton Arthur; Goddaughters, Danyale Jacobs and E. Marissa Brass-Cochran; One brother Londza “Black” (Mary) Allen of Palm Bay, FL; Three sisters Lucille Taite, Sarah (Jeffery) King, Emma Daniels, all of Joliet, IL; One special brother Frank (Rosalyn) Brady of California; His lifetime barber and friend Percy Conway; Sister-in-Laws Rose Holmes, Pat Allen, Marilyn Allen, Clarease Coley, Regina Fletcher, Deborah Cummings. He leaves to cherish his memories nieces, nephews, Aunts, Uncles, cousins, friends and family. Daniel loved life and his main purpose was to make sure Danika and DJ had what they needed to flourish in life, most importantly unconditional, selfless love from their Dad. Daniel will be remembered by his quiet nature, quick wit, generosity, winning smile, and beautiful dimples.